DUBLIN CITY COUNCIL are expected to debate a motion at tonight’s meeting calling for the immediate cessation of public water fluoridation. The motion is put forward by Sinn Féin’s Chris Andrews who said he believed there would be strong support. Speaking to TheJournal.ie, Andrews said that when he was running for election it was one of the issues that was being raised by residents on the doorsteps. “I think there is a real mood out there for this issue now to be taken seriously, which it hasn’t been up till now,” he said. He said that he could not understand “why we need to be so enthusiastic about it” stating that there are many other countries who do not put fluoride in the public water supply. “Why should it be imposed on us,” he asked. The motion follows six town councils and two county councils who have already passed motions calling for the immediate cessation of public water fluoridation in Ireland this year. These include the abolished town councils of Bantry, Macroom, Kinsale, Cobh, Balbriggan and Wicklow and the county councils of Laois and Cork. “The rebel county has already passed this motion, they are really leading the way on this and we should follow suit,” said Andrews. Email “Dublin City Council to debate motion on ending public water fluoridation ”. 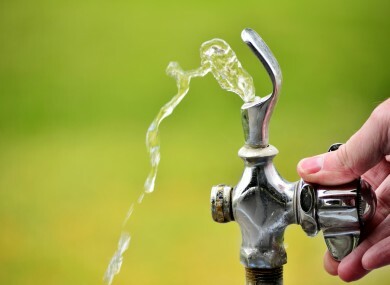 Feedback on “Dublin City Council to debate motion on ending public water fluoridation ”.